Huffington Post: "Well now you can be the next Jesus, the next Buddha, or even the next L. Ron Hubbard. Sign up now to create-your-own religion. You name it, write down the beliefs, rituals, and holidays. We will then post the best submissions on our site and allow you to compete for followers." This "competition" is a good example of yet another attempt to minimize religion in people's lives except for the implicit religion of self. Whoever had this idea, should have rethought it before putting it out there. Or perhaps they did rethink it and the motivation is just as nefarious as we think. Imagine no religion, aka John Lennon, by making up phony religions. Come to think of it, there are a bunch of phony religions. Only one religion can be true since, contrary to popular belief, they all say different things ie they do not all all lead to the same god. Bottom line: Do not minimize religion by playing games. The true religion, Christianity, was founded by men throughout the ages that heard directly from our Creator. The rest heard from other-worldly sources as well. However, they were not so godly. NPR is currently doing a series of articles related to China's growing influence around the world. These articles and sound clips include aspects that deal with it military, trade, construction and even includes an interactive map. A listing of all such current and future articles may be found here. There are also various articles on this site that are tagged "China". It is recommended reading. 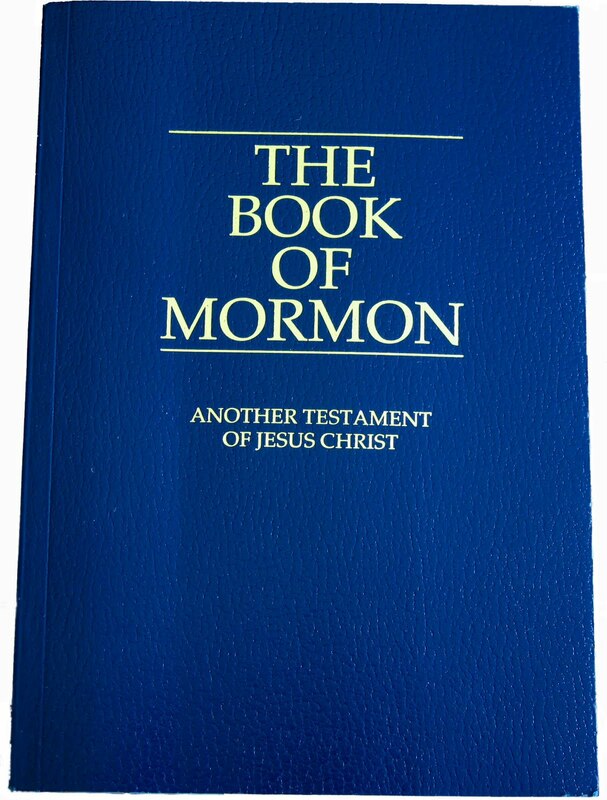 Mormons Bought the Big Lie. You Know. The Original One. So what happened in the beginning? Yes, that beginning. In the beginning, God created the heavens and the earth and all that is in them. He also created the Tree of the Knowledge of Good and Evil. He told the Earth's first two inhabitants not to eat of this tree or they will surely die. This is where the big lie comes in. The serpent, that nasty talking snake convinced the woman that God had lied to them. That they would not surely die. He said that once they ate of the tree, that they would be as God. Now that's a lie. You know the rest. So let's flash forward a bit to the 1800's when Joseph Smith, the founder of Mormonism, starts his new religion. What does he tell the folks that find him interesting? He tells them the big lie. The original one. 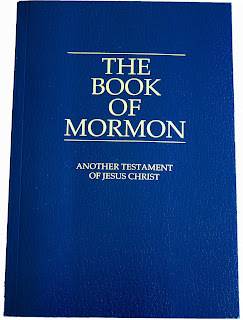 He or one of his subordinates said, and Mormons today believe, that God (you know, God the Father, creator of everything) was once a man just like us. Somehow he was able to live a good life and earn his very own planet. Yes, his planet is the planet Earth. The one we all know and love. The lie goes on to say that we too, if we are good Mormons, can someday earn our own planet where, you guessed it, we can become as God. Yes, you too can have your very own planet to literally Lord over. How nice. They even have their very own bible. Does this resemble anything close to orthodox Christianity? Do not be deceived. They are not Christian in any sense of the word. Why does the West continually punish a select few while looking the other way when it comes to bigger offenders? This is the case when looking at the new war with Lybia in light of what is going on in Iran. We decided that it was time to take action against the crazy man in Lybia only after decades of his lunacy and terror. Why? Because we see that there is a weakness to exploit. Not that it is bad to bomb Lybia, but why now? In 1986, Reagan bombed Lybia...but stopped. Perhaps that should have continued until the wacko was gone. Perhaps not. But the bigger question is Iran. Iran is admitting that it has a nuclear program. Everyone knows that it is not just for energy purposes. Iran does not need nuclear energy. They are sitting on an ocean of oil. The argument is ridiculous. They are developing nuclear weapons - weapons of mass destruction (WMD). If one recalls, the reason the world approved of the Gulf War was because Iraq was developing WMDs. That is debatable, but the premise of the operation was legitimate. Should a terrorist state and one run by a loon have such weapons? The reasonable answer is no. So why does the West fiddle while Iran prepares to burn the Middle East? Instead of sending our bombs to Lybia, who is no longer any threat to us, why not send them over Iran's way? They are asking for it, but there is no stomach for starting another war over WMDs even though these are real and they will really be used. White House, industry expand programs to educate, train workers - The Hill's On The Money: "Government and industry will step up their efforts to train and educate workers for the manufacturing sector, President Obama said on Wednesday. An expansion of the Skills for America’s Future program will give high school and college students a clearly defined set of skills and courses they'll need to get a job in the industry, provide new mentoring programs and scholarships for those interested in engineering, along with a new jobs website, the president said during a trip to Northern Virginia Community College in Alexandria. Its great that we are training folks to manufacture goods. However, how will we be able to manufacture goods if nothing is being manufactured here? The myth of "free trade" just meant that foreign manufacturing could get into the US for "free". Republicans have promised that if we only show the world how free trade works, they would reciprocate and open up their markets. Well, it hasn't happened and its not going to. The horse is just about out of the barn at this point. We could have used tariffs to protect the good jobs that we had. If we tried that now, the manufacturers would just go somewhere else since the US market does not dominate like it once did. But hey, there is no time like the present to start trying something. Guess we could train our people for non-existent jobs or maybe we could start playing hardball with countries like China and those companies inside and outside of the United States that do business with our enemy. Jerusalem Post: Ahmadinejad launches brutal attack on Israel at Asian security conference, saying Zionism is one of history's worst ills, also slams US, West for slavery, colonialization, World Wars, use of nuclear weapons. The Oval: Tracking the Obama presidency: "Li Daokui, an adviser to the People's Bank of China, told reporters in Beijing, 'I think there is a risk that the U.S. debt default may happen.' And he puts the blame on congressional Republicans. 'The result will be very serious and I really hope that they would stop playing with fire,' he said. Ok. What do you do when you are racking up too many credit card bills? Go out and charge more? Ask more banks to send you another card since the ones you had been using just don't work the same any more? Lunacy! This is exactly what the current Administration is proposing. The answer is that you need to cut back on your expenses and live within your means. Whacky idea. Now our "friends" in China feel compelled to opine on the goings-on over here. How about they concentrate on building their first aircraft carrier...with our money. Yes. That's right. China is building its first aircraft carrier. Why? Do we answer that question or just stick our heads in a hole as we have been doing for decades now? It is obvious. They wish to supplant the United States as the world's sole super power. They are doing it with currency, the economy, and the military. Associated Press - The luxury market in China has been growing more than twice as fast as the overall auto industry, but American automakers lack a credible entry. This article goes on to say that the Communist Chinese government slaps a 25% tariff on these luxury imports. Does the United States reciprocate? We import as much of their cheap products as possible. When will we learn? Our exports are reduced by their tariffs because they want to protect their own market. What do we want to protect? If only the United States would be concerned about its own jobs as China is theirs, perhaps there would not be a $14 Trillion deficit today. Oh, and here is another nice article about how Ford is building a $350 transmission plant in China. Fools! China is the enemy of the West. Stop sending our enemy our money. They only laugh at us for being the fool.